The Secret Diary of Steve Jobs : T-Minus one month from today? T-Minus one month from today? Gizmodo has published a comprehensive list to all the latest rumors regarding the iSlate. Which is how I will refer to it until the next rumor pops up. And how will Dear Leader present The Holy Grail? 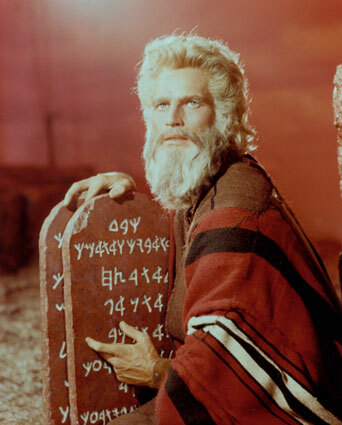 Just kinda subtle, slide in there with the standard “One more thing?” Or will there be lotsa flash-boom-bang, like Chuck Heston and his tablets, shown here. We will see. » T minus three hours and counting: Is this it?